E and E Group has performed oil spill monitoring and sampling of many spills from facilities, pipelines and wells throughout the Gulf Coast area to determine impacts on such resources as streams, fish farms, oyster beds, duck leases, trapping leases and marsh vegetation. Environmental assessment of the oil spill at the Exxon Pelican Island Terminal in Plaquemines Parish. Samples were taken to determine the extent of the spill and its effect on some of the most productive oyster beds in the state. Evaluation and assessment of impacts associated with an oil leak in a popular sport fishing stream in Mississippi. The leak occurred in a pipeline on land and flowed into the stream, so there were terrestrial and aquatic impacts. Environmental assessment of the oil spill in Breton Sound for Chevron which occurred as a result of a ruptured pipeline. Sampling was conducted over a large area to determine the extent and effect of the spill on surrounding areas. Environmental assessment of the Exxon Pipeline oil spill near an egret rookery on Avery Island. Intensive sampling was carried out to determine the effects the spill would have on the protected wildlife of the Island. 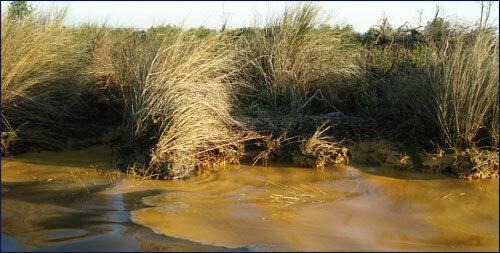 Performed water sampling and environmental observation of the Bayou Perot/ Bayou Rigolets oil spill.